The mother of a two-year-old girl whose body was found in a house in Oxfordshire is believed to have left the UK, police have said. Officers went to the property in Herald Way, Bicester, shortly after 10:00 BST after receiving a report concerning fear for a child's welfare. Det Ch Insp Ian Hunter said she is thought to have been in the care of her mother, who police are trying to trace. The Thames Valley Police detective said: "At this time she is thought to have left the United Kingdom. "We need to speak to the mother to establish the circumstances prior to the discovery of the child's body." 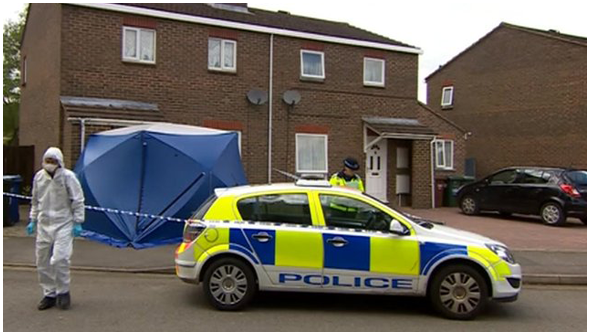 Neighbours told the BBC "a mother and child" lived at the house in Glory Farm. A post-mortem examination was due to be carried out later. Formal identification is yet to take place.